A B2B appointment is extremely essential to the growth and longevity of a firm. An entrepreneur may not have enough time or resources to look personally into each aspect of client-serving to enhance his customer-base while ensuring the long-term success of the firm. In such cases, an entrepreneur has to outsource appointment setting services to grab outstanding client support services. A business owner has another important stuff to do necessitating the hiring of an expert and skilled personnel adept at conducting successful appointment setting and generating a lead for the firm. 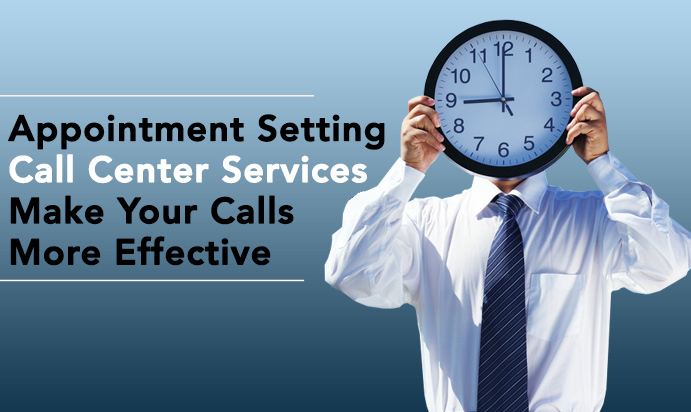 Appointment setting call centers are thorough professional adept at handling a lot of phone calls, email messages, and other promotional activities on behalf of the firm for a day in and day out. 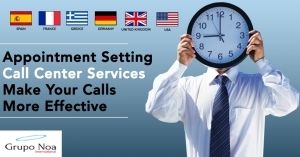 Here are 5 reasons why Outsourcing Appointment Setting is necessary. Unmatched Experience and Skilled Expertise: Appointment call centers are adroit at ensuring greater lead generation without compromising on the quality of services. Our proven track records and vast experience in this field make us a pioneer in the realm of Appointment Setting and client servicing. Greater MQLs (Marketing-Qualified Lead): A recent survey by Demand Gen Report concluded that around 75% of the marketers consider lead quality as their foremost priority. It is only by initiating appropriate customer engagement tools with proper appointment setting etiquette that such goals can be accomplished. Facilitating round the clock interaction with prospective clients is another winsome strategy that experts follow for the benefit of the firm. Sales Intelligence: Out of an excessive enthusiasm, firms often misinterpret their sales figure, CRM data, and other information. But such things are a strict no-no. Company’s sales figure is actually a mirror to its performance. It should be real and reliable. The outsource appointment setting call centers analyze each sales data and lead carefully to formulate company’s USPs and future goals accordingly in discussion with the owners, VP, and directors. Greater B2B Lead Generation: Recent CSO Insights studies have stated that 68% of B2B companies face problems in their lead generation system. Through outsourcing, you can hire professionals that keep a tab on the latest trends and tastes about the potential clients for B2B lead generation and greater conversion rates. Efficacy and competitiveness: A call center can transform your company’s fortune in no time following with stupendous contact and appointment setting services with path-breaking customer-centric etiquette and decorum. Considering today’s incessant cutthroat competition all around, optimizing appointment setting has evolved out as the major concerns for business firms. It necessitates the outsourcing call center for appointment setting.